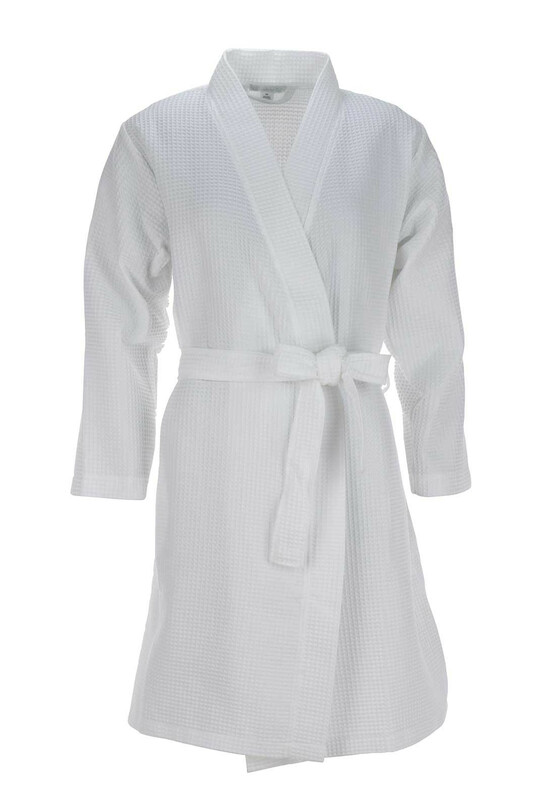 Cover up in the evening with this classic white dressing gown from Slenderella which has an embossed waffle print throughout. Made from soft and comfortable cotton rich fabric and designed with a knee length. Featuring a detachable fabric belt and side pockets.